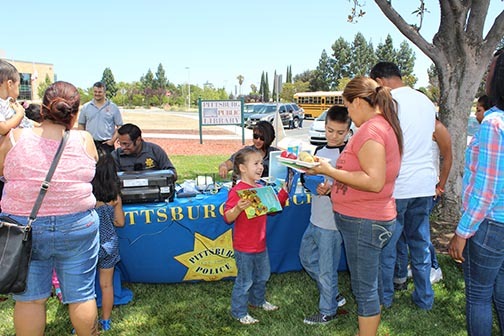 Law enforcement agencies across the state, like Pittsburg Police Department, are stepping up to help address these challenges by teaming up with schools, food banks, or other summer meal providers to provide activities at summer meal sites and to help spread the word in the community about this resource. 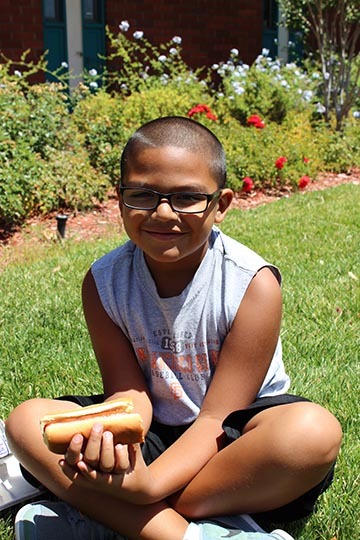 In exchange, summer meal partnerships provide an opportunity for police agencies to engage with families and strengthen relationships in the community. 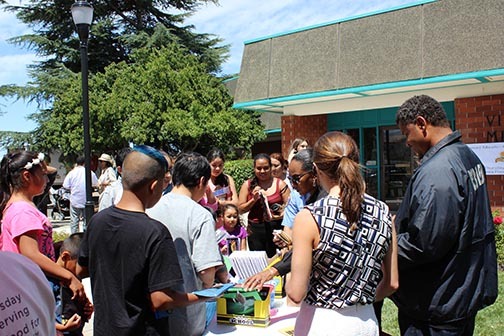 In late July, Pittsburg Police Department joined Pittsburg Unified School District, the California Summer Meal Coalition, the Contra Costa District Attorney’s Office, the county probation department, health department, and local farmers at the Pittsburg Library to promote summer meals. In addition to serving free, locally sourced lunch to 320 families, the event provided an opportunity for kids to explore Pittsburg Police vehicles, meet officers, and meet K9 officer Zed; families were able to participate in the child fingerprinting program, receive free books and school supplies, and learn more about truancy and the importance of school attendance. 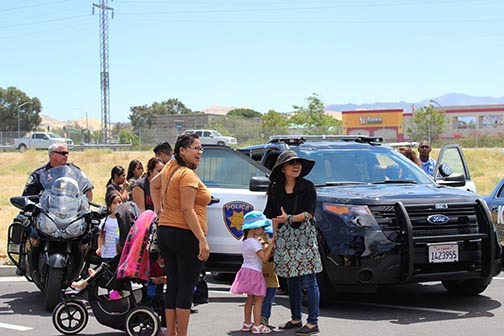 Police Explorers interacted with kids and assisted with activities. 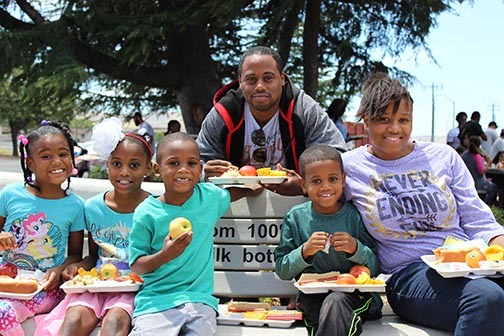 An overwhelming success, the event highlighted how food brings people together and demonstrated how summer meals can bring whole communities together to benefit youth and ensure that they go back to school healthy and ready to learn. Comments on "Food Brings Communities Together"